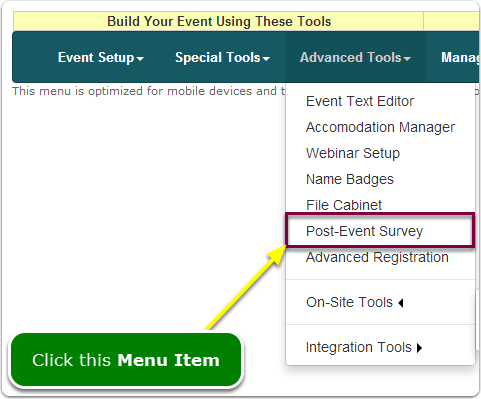 Help Documents - Version 5 Post-Event SurveysWhere is the Post-Event Survey tool? Prev: How do I see the results of my Post-Event Survey? Next: Where are the Post-Event Survey Reports?